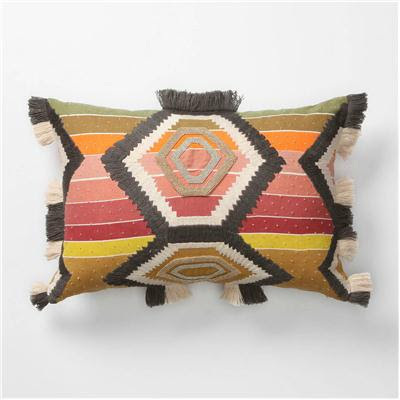 dwell and tell: Just Ordered... + Anthro Pillows! Just Ordered... + Anthro Pillows! Just thought I would share a recent purchase, thanks to my Mom & Dad for a gift card they gave me for my birthday! 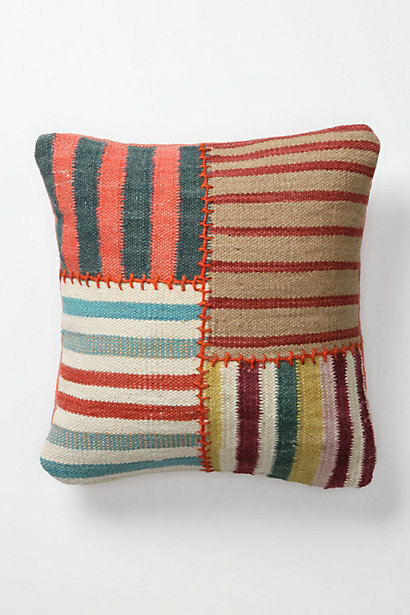 While I'm at it, here are a few other pillow lovelies I spotted while shopping at Anthropologie online. 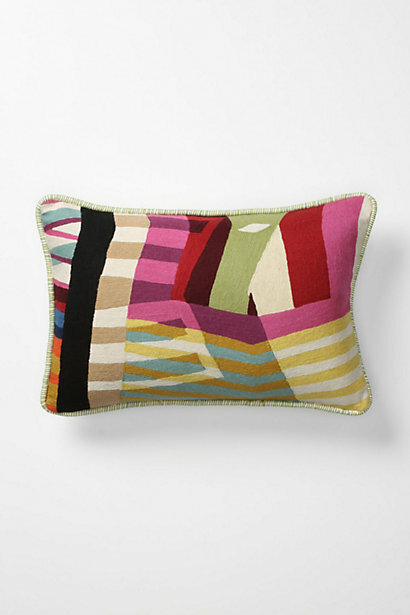 A wonderful combination of earth-tones and bright colors, the "Bhanded Dhurrie Pillow" in the large square shape. (My favorite version of the Bhanded Dhurrie was a longer version which is discontinued). But I love this one! 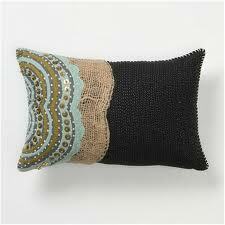 Love this elegant-yet-bold little pillow with an adored teal (robins egg blue more accurately describes it?) shade, layered on black, durlap and olive. Lovely. And look real close and you'll notice those tiny hand-stitched white threads on the black portion that make it feel so plush. This next one is too rich for my blood! BUT isn't it pretty? The colors and gray fringe sing a happy song, but look at those precious, tiny hand-sewn beads in the Jacinto Rectangle Pillow. 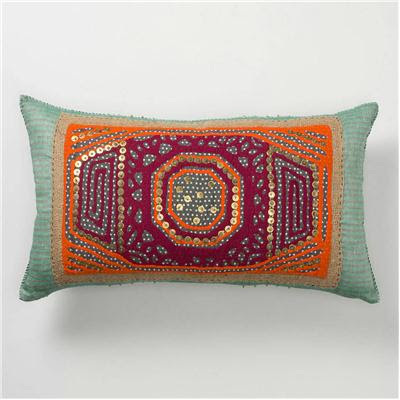 Isn't it amazing how one little pillow can make an impact on your space? Any favorites from the selections above? Or any you recently found? Kelly Packer Q-n-A (Art Crush Part 2)!